We were interviewed by Talk Radio about the increase in amputations in diabetes. Diabetes UK has branded the rate of diabetes-related amputations in England a ‘national scandal’, following the publication of new data. Data published by Public Health England and the National Cardiovascular Intelligence Network, and analysed by Diabetes UK, revealed the 25,527 major and minor amputations reported during the period 2013-2016 to be a record high. This represents an increase of more than 3,000 total amputations when compared to the previous three-year recording period (22,092 between 2010-2013), and brings the total number of major and minor procedures to 23-a-day, compared with 20-a-day in 2010-2013. “It’s a huge concern that the number of amputations is increasing. Amputations devastate lives and, despite a slight decline in major amputations, a minor amputation can mean someone losing a toe or a foot. With good healthcare and support, four out of five of amputations are preventable. But nearly a quarter of hospitals in England still do not have a specialist diabetes foot care team. The financial impact on our health service is also massive; at least a £1 in every £140 of NHS spending in England goes on foot care for people with diabetes. We need to urgently increase the numbers of podiatrists specialising in diabetes and improve the quality of foot checks at GP practices, or people will continue needlessly losing their limbs. Progress has been made and investments in improvements have started. But the quality of services varies significantly across England, and the Government needs to go much further to address this issue. This means committing more money to improving services, and actively encouraging poorly-performing CCGs and hospitals to learn from those areas where best practice exists. The rise in preventable amputations is a national scandal, and we’re looking for decisive, urgent action on this issue.” While the new data revealed a reduction in the rate of major amputations, with 8.1 procedures per 10,000 patients, compared to 9.1 in 2010-2013, there has been a significant increase in minor procedures, with 21 procedures per 10,000 patients in 2013-2016, compared to 19.5 per 10,000 in 2010-2013. A major amputation is above the ankle, while a minor amputation can mean the loss of a toe or a foot. 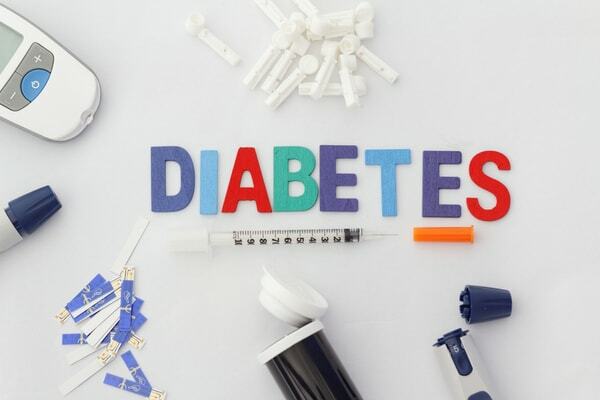 For more information regarding diabetes and its link to amputations, get in touch or give us a call. Alternatively book an appointment or visit one of our samedaydoctor private walk-in clinics.